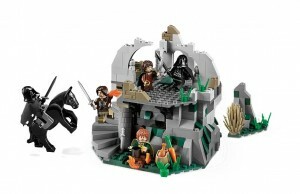 MasterMindToys.com (a Canadian retailer) currently has some of the older LEGO sets on clearance for 30% off. These includes some Lone Rangers, Galaxy Squad and a few other items. If you didn’t get a chance to purchase them earlier on, now might be your last chance to get them at a discounted price. You can check out the full list of on sale LEGO items here. Free shipping on orders above $60 for destinations to Canada. US shipping is also available. Thanks to forum member UnicornIRL for the heads up.